Built onthelatest Cisco®Cloud Scale technology, the Cisco Nexus®9200 platform consists of industry-leading ultra-high-densityfixed-configuration datacenter switcheswith line-rateLayer 2and 3features that support enterpriseand commercial applications, serviceprovider hosting, and cloud computingenvironments. 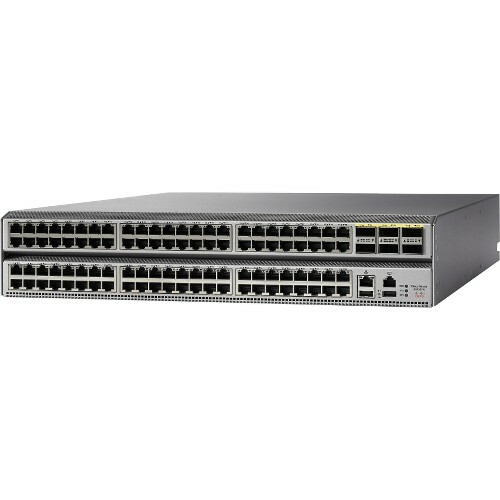 These switches support a widerange of port speedswith flexible combinations of 1/10/25/40/50/100-Gbps connectivityin compact form factors. Usingthewidelydeployedindustry-leading CiscoNX-OS Software operatingsystem, the Cisco Nexus 9200 platform isdesigned for programmable fabric,whichoffers flexibility, mobility, andscale for service providers and infrastructure-as-a-service(IaaS) and cloud providers. It is alsodesigned for the programmable network,which automates configuration and managementfor customerswhowant to take advantage of theDevOps operation modeland tool sets.